lace front wigs are worn not only those having hair loss issues or baldness or even hair thinning, they are now a fashion accessory supported by many famous celebrities in music and movie industries. How do you go about wearing it then without damaging your natural hair? 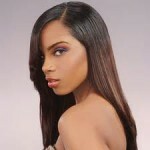 The types of wigs are rather trendy and will impact your overall appearance within minutes. You can create gorgeous and trendy hairstyles in short period of time without affecting your own natural hairs or even skin. 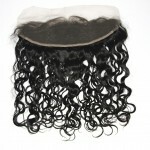 You can also find new styles or even types of wigs in the market, hence you will have a good variety of choices. To wear it, do note. Ensure that you clean all areas around your forehead and ensure it is both dirt and oil free since it will affect the gluing of the wigs. Make sure to pin the wig strands backwards to ensure that they do not get stuck by the glue when applying. Cut off the additional lace or ribbons elements but do ensure you do not damage the lace cap. Outline the best position and area to apply the wig using the eyebrow pencil. Apply the glue to the hairline and lace cap, press the wig on when the glue become sticky. 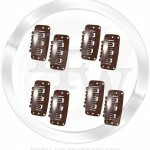 Return to What Type of Wig Clips Are There For Lace Wigs? 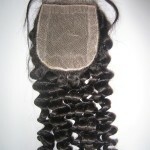 Go to Lace Frontals with Baby Hair Compared to Lace Frontal Closures!